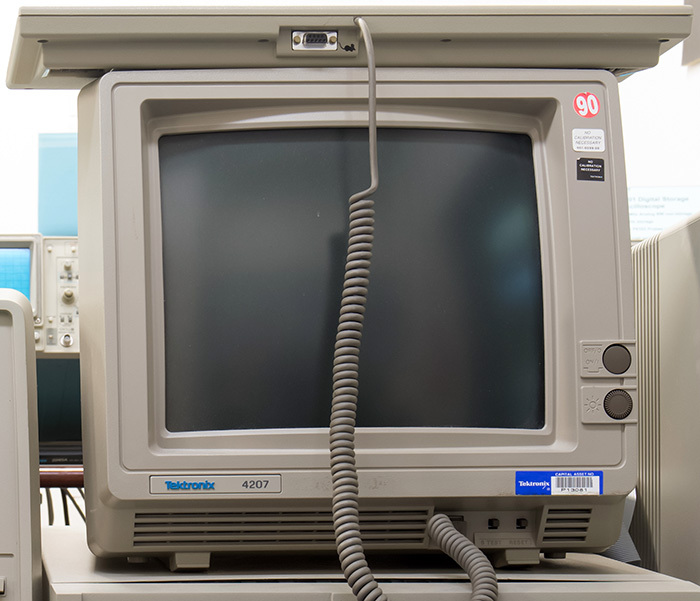 As the 401X and 411X family of DVST graphic terminals was winding down, and color displays and dynamic RAM prices were dropping, Tektronix chose to enter the low cost color terminal market with raster scan terminal terminals. 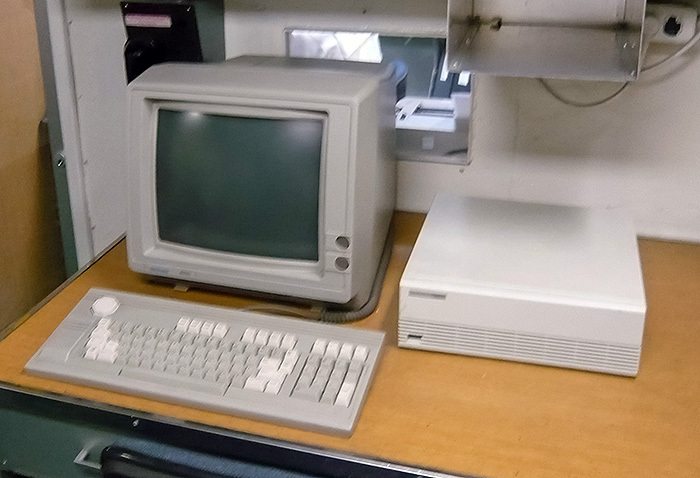 The only previous color terminals were the 4027 and 4113 which were earlier and more expensive. 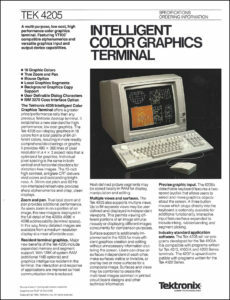 The sweet spot for a color graphics terminal was $5,000 and the target for the project. 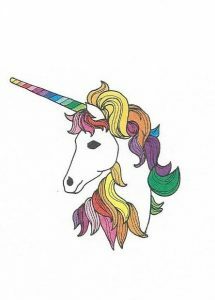 Through some reorganizations the Unicorn project was launched and team formed. Members of the team were hand picked for the project and as the group grew it became a stand alone division managed by Jerry Ramey. Dave Squire was the engineering manager and 4105 project manager. Dave Brown was the hardware project manager, Bob Leith was the mechanical project manager, and Ramune Arlauskas was the firmware project manager. 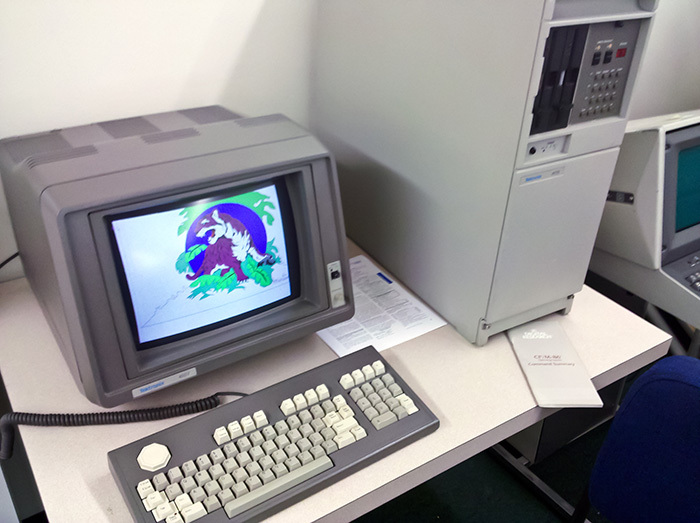 The 4105 was a 480x360 resolution 13" color graphics terminal with an aggressive goal of an 18 month development. Part way through the development a 640x480 13" 4107 product was added along with a 640x480 19" 4109 product. All three were introduced on schedule at the Hannover Faire in April 1983 with staggered deliveries for the 4107 and 4109. 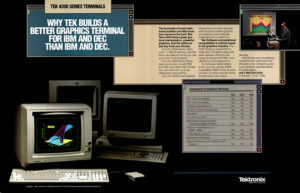 A companion 4170 Local Graphics Processor, a multi-user CP/M computer, was also introduced at the same time. There was a major setback during the development when the heat chamber for 5 day humidity and temperature testing failed and melted the one-of-a-kind prototype (see the story A Melted Unicorn for photos). This project was the first to co-develop just-in-time manufacturing as part of the development which yielded significant results for inventory, throughput, first pass yield, and reliability. The program met or exceeded every objective in the original project proposal and came in two months ahead of schedule. The museum has a special one-of-a-kind 4107 which was painted special as a recognition award for the project. We also have a 4170 at the museum. This photo shows the 4107 displaying a file containing color polygon segments drawn from the 4170. These three successful terminals were followed by a higher resolution, higher performance 4111. A follow-on family of 4200 series, comprised of a 4205, 4207, 4209, and 4211 was later introduced. The major cost reduction was through electronic and package integration. ASICs reduced the logic to a single board which was easily installed in a highly integrated display, power supply, and package. This 4200 brochure provides a high level overview of the 4200 family. Click on the image to view the PDF. 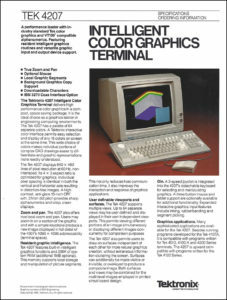 This 4205 brochure describes the features of the entry level terminal. Click on the image to view the PDF. This 4207 brochure describes the features of the mid-range terminal. Click on the image to view the PDF. The museum also has a 4205 on display. The USS Midway at San Diego has a 4205 terminal in the Communications Center (left side of photo). 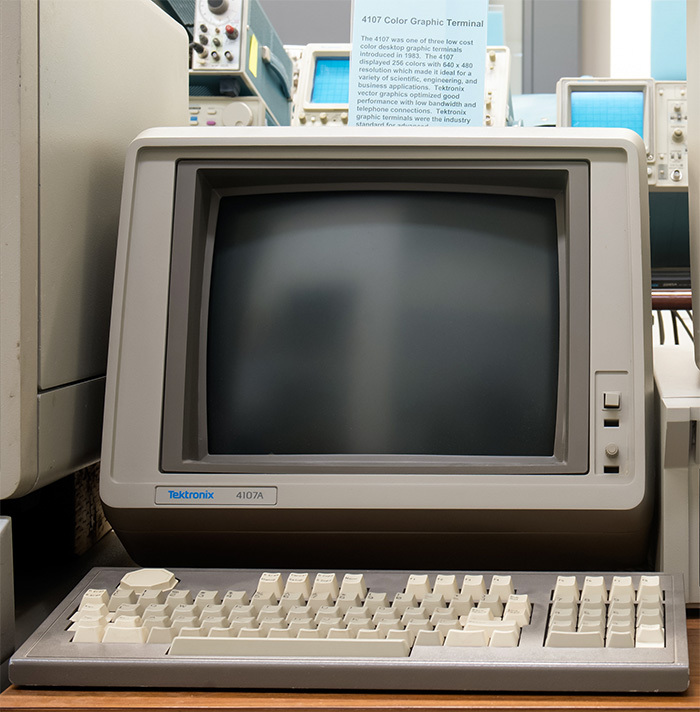 They were used extensively by many companies due to Tektronix graphics compatibility and good performance at a low cost.